To experience the wonderful effects of Abacus on small children, put them into the Abacus course at Master Mind. Learn and develop strong mental arithmetic skills to be the top scorer in mathematics. That was an inspiration to me. Thanks for sharing the such an effective information. Great article. 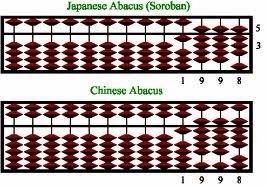 Enrolling child for abacus course and vedic maths course can really help a lot for faster and accurate. calculations.